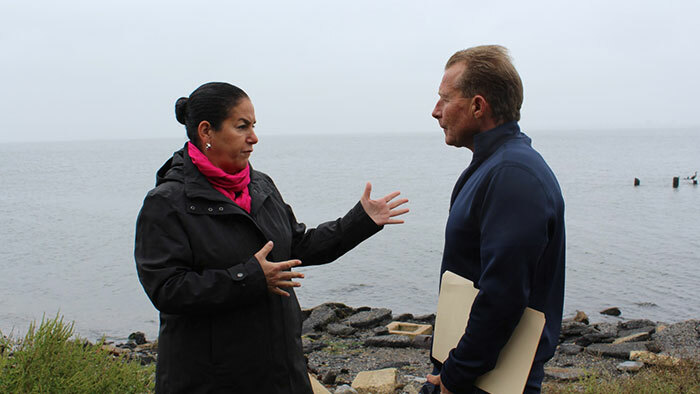 Assemblywoman Pheffer Amato and Jamaica Bay Ecowatchers President Dan Mundy discuss the future of the beloved bay. The State Legislature has voted to approve a bill that would prohibit oil and natural gas drilling off of New York’s coast. Both houses have passed the measure that would amend the Environmental Conservation Law § 23-1101 to prohibit the leasing of State-owned underwater coastal lands for oil and natural gas drilling and add a new section to prevent the Department of Environmental Conservation and the Office of General Services from authorizing leases that would result in the increase of oil or natural gas production from federal waters. In addition, the bill would amend the Transportation Corporations Law to restrict the powers of such corporations to develop pipelines associated with the delivery of natural gas or oil from the North Atlantic Planning Area. Jamaica Bay Ecowatchers President Dan Mundy echoed the assemblywoman’s sentiment.